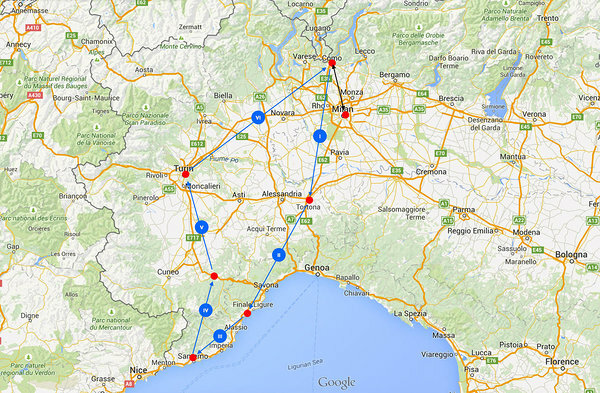 Our route took us around North Italy from lake Como to Sanremo, Torino and back. 800 km total stretched over 6 days (plus one for resting). Precise route trackings are available at the end of each days' overview in our diary.